There are generally discounts available to senior citizen and smaller children. Find out by contacting your nearest pool in Thuringia. Are you a common swimmer? Do you visit the same Outdoor Pools in Thuringia? Please check that all of the details for your aquatic center are correct and make contact with us if you uncover any mistake. Thanks to some new Pools submitted on a daily basis, Swimia.com is increasing day-to-day the number of stored pools. Please don't hesitate to make contact with us should you get any inaccurate or incomplete information. The greatest pools to swim are undoubtedly indoor olympic pools. Please check the nearest Outdoor Pools in Thuringia or Contact us to ADD IT. It is absolutely free! Swimming can be a sport for all ages. It assists young persons to tone their muscles and grow healthy and robust. It's difficult to visit Thuringia without having dropping by Gera (with 104.659 residents). At present Swimia is showing you all of the Pool in Gera and the closest pools located in its vicinity. Without a shadow of a doubt, swimming in Eisenach will be the most effective option to unwind right after perform. Take a couple of minutes to browse Swimia's catalog to find a Swimming Pool in Eisenach. Whereas Suhl is among the six most populous cities in Thuringia with almost 43.509 residents, you shouldn't miss that one if you're going to Thuringia. Let us tell you a secret to switch off while you might be in Erfurt: just choose a Pool in Erfurt and plunge into the water! There's no much more productive method. Swimming is usually a wonderful thought to keep your body active for the duration of your visit to Weimar (Thuringia), or perhaps for anyone who is a local. Swimia helps you to find your closest Pool in Weimar. Holding an estimated population of 46.615, Gotha is one of the most important cities in Thuringia. Check all of the Swimming Pool in Gotha and its surrounding region. Updated on 2019 Am Stadtbad 2 , Delmenhorst , GERMANY (Postal Code: 27753). Swimmers like you have reported 25 meters, 6 lanes, 1.1 meters - 1.8 meters depth, 1.1 meters - 1.8 meters depth, Indoors. Also, you will find 25 meters, 4 lanes, Outdoors. If you should contact this Pool, e-mail address and phone number are both number. Updated on 2019 Am Hexenbuckel 1 , Boeblingen , GERMANY (Postal Code: 71032). This sports center provides 20 meters, Outdoors. Contact information for this Swimming Pool including phone number and e-mail address are number. Updated on 2019 Altenritter Strasse , Baunatal , GERMANY (Postal Code: 34225). Swimmers like you reported 25 meters, 6 lanes, 2 meters - 3.8 meters depth, 2 meters - 3.8 meters depth, Indoor/Outdoor. Phone number and e-mail address are number for this Pool. Updated on 2019 Mühlendamm 17d , Elmshorn , GERMANY (Postal Code: 25335). Swimmers like you reported Olympic size, 8 lanes, Indoor/Outdoor. Phone number and e-mail address are number for this Pool. Updated on 2019 Goernestrasse 21 , Eppendorf , Hamburg , GERMANY (Postal Code: 20249). Among all of the activities offered by the center, for anyone who is considering swimming you are going to take pleasure in 25 meters, Outdoors. If you need to contact this Pool, e-mail address and phone number are both number. Updated on 2019 Eichenstraße 4 , Berlin , GERMANY (Postal Code: 12435). This sports center gives 28 meters x 6.5 meters, 2.08 meters depth, 2.08 meters depth, Indoor/Outdoor. 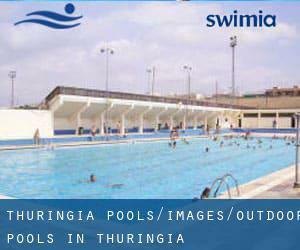 Contact details for this Swimming Pool such as phone number and e-mail address are number. Updated on 2019 Talstrasse 120 , Neustadt an der Weinstrasse , GERMANY (Postal Code: 67433). Swimmers like you reported Olympic size x 25 meters, 10 lanes, Indoor/Outdoor. Phone number and email address are number for this Pool. Updated on 2019 Lachener Weg 175 , Hassloch , GERMANY (Postal Code: 67454). This great and large sports center lets professional swimmers like you enjoy 25 meters x 12 meters, 4 lanes, 1.3 meters - 1.8 meters depth, 1.3 meters - 1.8 meters depth, Indoors. Additionally, within these facilities you can try 25 meters x 20 meters, 8 lanes, 1.3 meters - 2 meters depth, 1.3 meters - 2 meters depth, Outdoors. Phone number and e-mail address are number for this Swimming Pool. Updated on 2019 In the SI-Centre , Plieninger Strasse 100/1 , Stuttgart , GERMANY (Postal Code: 70567). This sports center gives 20 meters, Indoor/Outdoor. Contact information and facts for this Swimming Pool including phone number and email address are number. Updated on 2019 Bückelhaube , Gruenstadt , GERMANY (Postal Code: 67269). Among all the activities supplied by the center, for anybody who is considering swimming you may appreciate Olympic size, 6 lanes, Indoor/Outdoor. Just in case you need to contact this Swimming Pool just before dropping by, we only know the phone number. Updated on 2019 Nassauer Allee , Schlangenbad , GERMANY (Postal Code: 65388). This sports center offers 30 meters, Outdoors. For this Pool, only phone number is number here. Updated on 2019 Händelstraße , Kronenberg , Aachen , GERMANY (Postal Code: 52074). Swimmers like you have reported 25 meters x 12.5 meters, 6 lanes, 1.8 meters depth, 1.8 meters depth, Outdoors. Also, you will find 17 meters x 14 meters, 4.5 meters depth diving well, 4.5 meters depth diving well, Indoors. Just in case you wish to contact this Pool before dropping by, we only know the phone number. Updated on 2019 Berliner Platz 1 , Ludwigsburg , GERMANY (Postal Code: 71638). This great and large sports center lets professional swimmers like you enjoy 25 meters x 16.5 meters, Indoors. Additionally, within these facilities you can try 24 meters x 12 meters, Outdoors. Unfortunately we do not have the email address of this Swimming Pool, but we can provide you with the phone number. Updated on 2019 Bürgermeister-Cornell-Ring , Ahlen , GERMANY (Postal Code: 59227). Swimmers like you reported Olympic size, Outdoors. Phone number and e-mail address are number for this Pool. Updated on 2019 Postillonstrasse 17 , Munich , GERMANY (Postal Code: 80637). Among all the activities offered by the center, if you are considering swimming you are going to appreciate Olympic size, 8 lanes, Outdoors. If you must get in touch with this Pool, email address and phone number are both number.